if you'd like digital or the combo version of digital and print head over here! 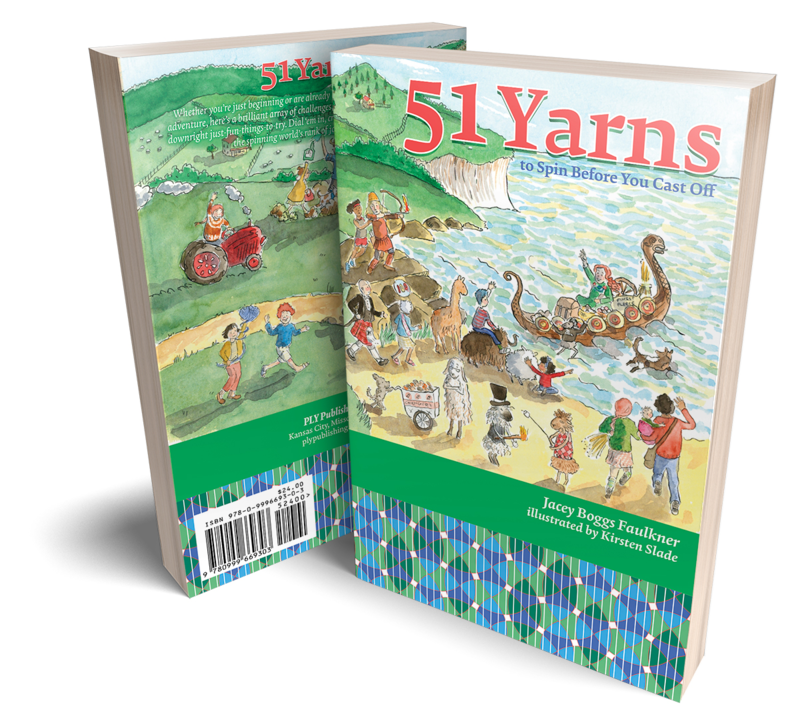 PLY's first book, 51 Yarns is a fun, detailed list of spinning adventures every spinner should embark on. Packed for the long haul with vital information, tips, tricks, and trivia, it’s an essential travel companion for your fiber trek across a lush topography of breeds, techniques, materials, and approaches. Map your trail or just ride along — 51 Yarns is the journey; being a happy, well-rounded spinner is the destination! At 6 x 9 inches, it’s our smallest book size but big enough to contain 51 formidable feats but small enough to throw in your spinning basket. And we’ve printed it on paper hearty enough to withstand trips to spinning circles and guild meetings, transcontinental hikes, vine swings, late-night spelunks, or to just sit in your library awaiting the next endeavor. With a linen cover and uncoated pages, you’ll be able to take notes if you choose to! Written by Jacey Boggs Faulkner and illustrated by Kirsten Slade.